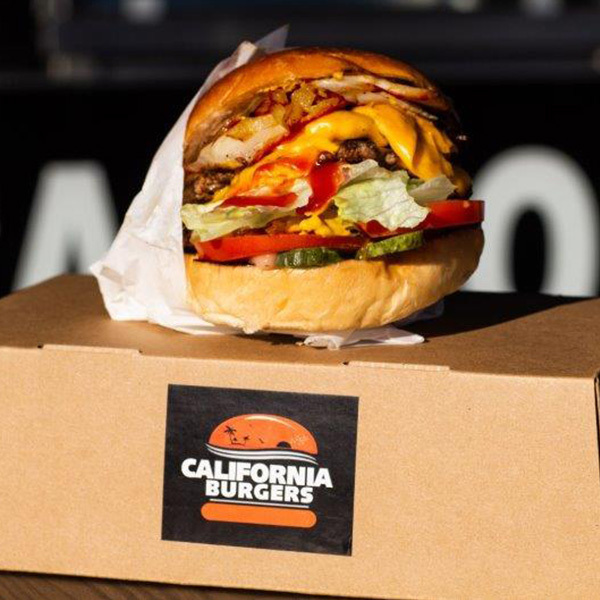 California Burgers have been bringing a taste of California to Melbournians since 2009. Started by lovers of L.A Theo and Rosemary Tzavaras, the store on Chapel Street Windsor has been going from strength to strength catering to burger lovers from around the world ever since. California Burgers’ latest offering is the “Rush” Burger by Georges St-Pierre (GSP). GSP goes by the nickname “RUSH”, due to his fast starting and efficient fighting style in the Ultimate Fight Club (UFC) Championships. He is a 3 times UFC Welterweight Champion and Middleweight Champion of the World, and only the fourth fighter in UFC history to be a multi-division champion. This burger was designed by the Canadian born St-Pierre and brought to life by the team at California Burgers to coincide with his upcoming speaking tour of Australia, “An Evening with Georges St-Pierre” in August. “California Burgers is honoured and proud to be a sponsor of Georges St-Pierre’s tour. We were excited to collaborate and work with him to create The Rush Burger – a unique offering which includes all his favourite burger ingredients. 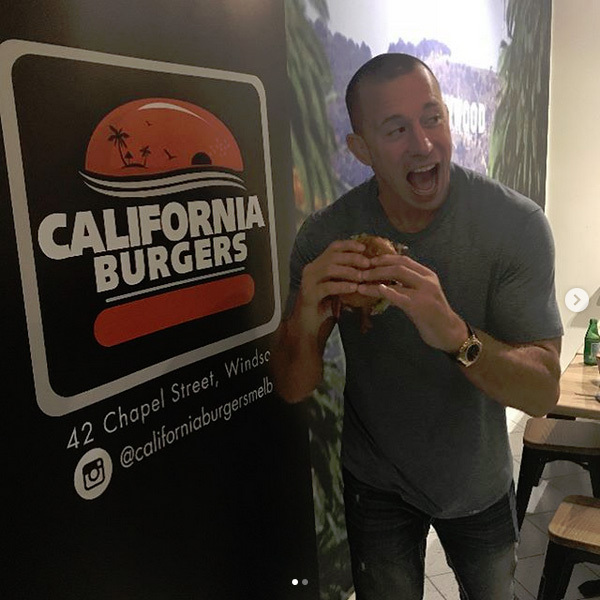 We are looking forward to host Georges St Pierre, a UFC world champion in store at California Burgers in August for the Melbourne leg of his first ever Australian Tour.” Said Rosemary and Theo Tzavaras, owner-operators at California Burgers. The Rush consists of ingredients selected especially by GSP including two smashed beef patties, two slices of cheese, a slice of bacon, grilled onions, tomato, lettuce, pickle, mayo, relish and Honey Mustard. It will be July monthly special for up until the event at the Melbourne Convention Centre on Aug 11th 2018. California Burgers has form in creating unique and delicious burgers in collaboration with celebrities, such as the Jai-Gantic (American actor and martial artist Michael Jai Whyte), the L.A.X (Los Angeles International Airport) and the Altman (Altman brothers from Million Dollar Listing LA). 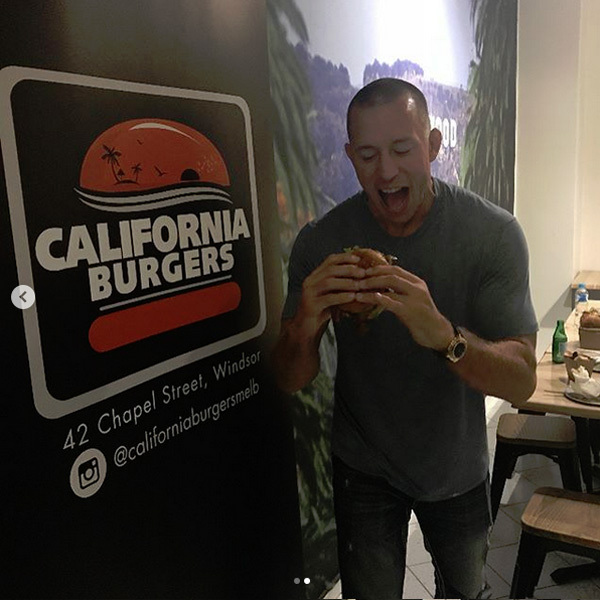 GSP will also be attending the California Burgers store to try out his own burger for the first time, giving customers a chance to rub shoulders with UFC royalty.